Are You Still Using Spreadsheets to Manage Your WordPress Editorial Teams? Managing teams has always been a daunting task. Delegating work, providing instructions, managing resources, scheduling payments, etc have always been the bane of an admin’s life. Most try to manage all of these operations by using spreadsheets and then sharing them through mail, Dropbox, or Google Docs. But all of this is not the perfect system. 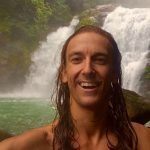 Do you want something that is easier to use and share? When the editorial project needs input from multiple people working across different locations or the data needs to be secure and shared with multiple people, spreadsheets are often the wrong tool for the job. But as far as WordPress editorial workflow is concerned, every publisher can be empowered to approve or disapprove any changes that other editors make in his content before the content is published. WordPress grants the administrator control over everything, from building the content up to publishing the content. The administrator has full authority to determine who can edit the content as well as approve or disapprove the alterations. All this could be achieved by making use of the following easy to use and handy plugins, giving you a new experience of using WordPress. ContentCloud is a cloud-based plugin develop by Betaout. This plugin is a SaaS (Software as a Service) platform, which handles editorial teams across newsrooms and multiple-authored websites. ContentCloud functions by using a single interface with improved functionality and offers customized workflow management. The plugin is developed on a plug and play architecture which expands newsrooms with feedback mechanism and increased collaboration by enabling editorial teams to focus on developing quality content and not waste time and energy on administrative tasks. 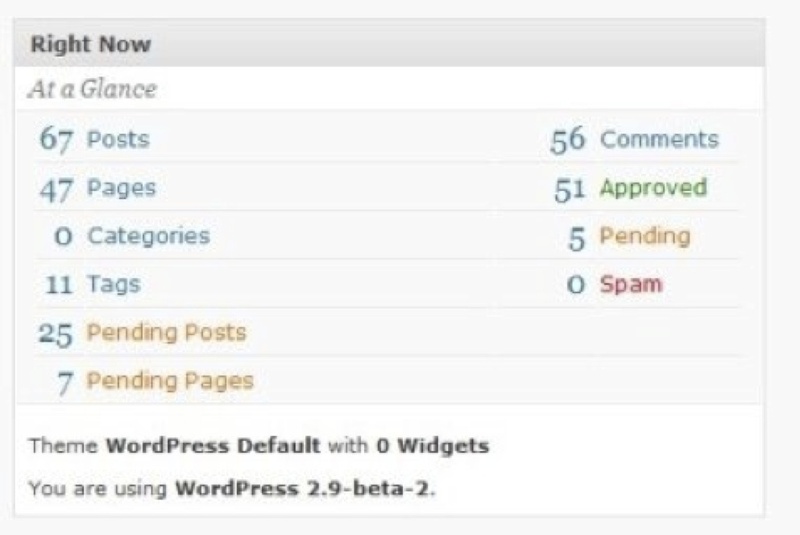 Another great feature of the plugin is its seamless integration with WordPress. The moment you plugin your WordPress sites, Betaout will make a few default workflows based on the current set of users, to give you a quick start. 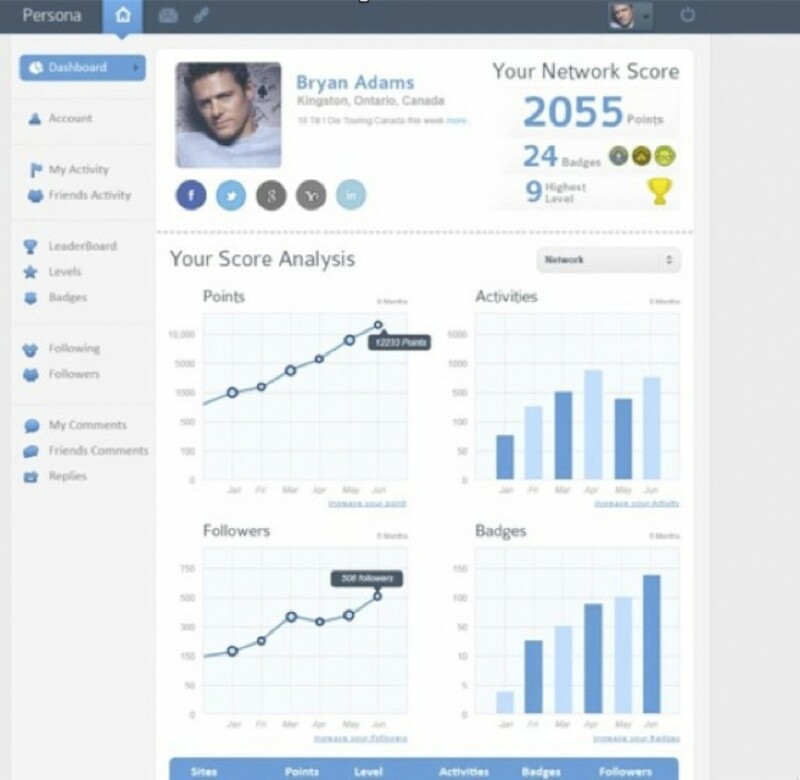 Other admired features of ContentCloud include its sleek, intuitive and user friendly interface. Newsflow WordPress plugin developed and maintained by Flowcom AB is one of the most popular plugins used for streamlining editorial workflow mechanisms for websites and blogs based on the WordPress publishing platform. A highly improved and evolved version of the older Hpernews plugin, Newsflow is based on a very user friendly interface that has the capacity to manually select individual syndicate RSS feeds, which allows administrators to fetch them and publish the feed streams on the website. Newsflow plugin, with its easy integration mechanism, works on all WordPress based websites including standalone websites as well as those based over a network. 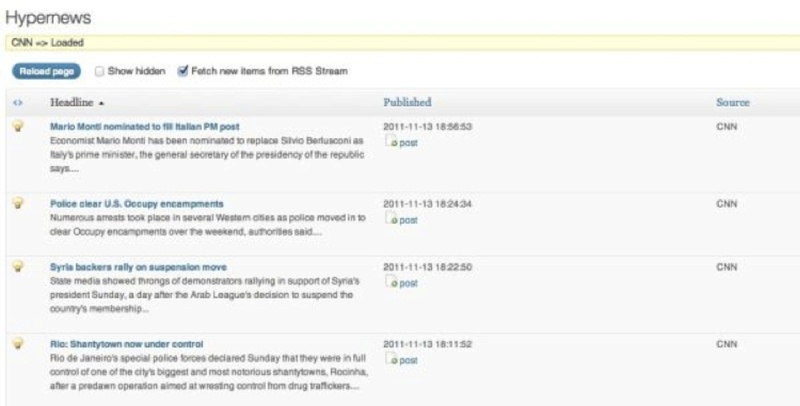 The working mechanism overview of the Newsflow plugin compromises a sub menu space used for addition of links of syndicate feeds or RSS feeds that are fetched using the link management module. The plugin also allows for fetching of multiple feeds at the same time and offers complete editorial support by making it a very interactive tool for publishing content on multiple authored websites. Editing the fetched RSS feeds is made possible by clicking on the post type links at each fetched item row. The contents are saved as draft posts that can be used for later edit. Newsflow plugin supports multiple languages including English, even though the plugin was first developed in Swedish. 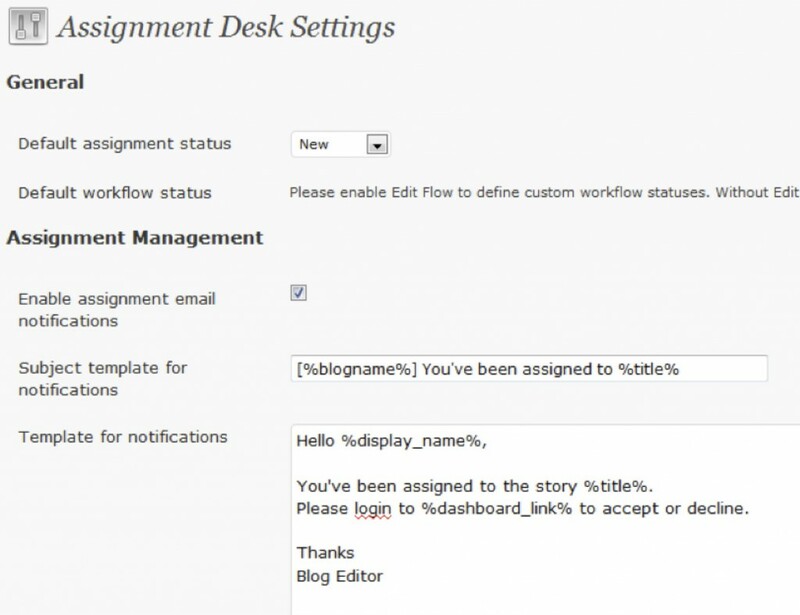 Assignment Desk is a revising device for news organizations using WordPress as their content management system. The plug-ins’ primary aim is to make community interaction with a specific news production house easier and more well-organized. The plugin enables community members to submit suggestions or story ideas to a news group and volunteer to assist with the story in various ways, at the same time safeguarding perspective oversight. Once individual story ideas are approved, assignment desk enables community members to take part in the coverage of a particular story. An editor may allocate explicit roles (for e.g. photography, writing) to the members as well as delineate the scope of operation by member type like first timer, regular amateur contributor, or professional journalist. Community members can also voice their appreciation for story ideas that have either not yet been assigned to specific people or are in the creation stage. They are also entitled to give their viewpoints on stories in development. Assignment Desk aspires to bring any society member into a news group story production process in a structured way. But it could also be used to supervise a huge team of qualified or semi-qualified writers and distribute assignments to them, while letting them suggest ideas too. A word of caution for intending buyers, this plugin has been rendered inactive without any useful updates or query support. Existing codes are offered on a ‘as is’ basis. Revisionary plugin enables competent users to submit changes to currently published posts or pages. Content writers are also able to tender alterations to their published content respectively. These changes, after approval by the concerned editor can be made available immediately or scheduled for future publication. Revisionary can be run automatically through the Plugins label in a user’s blog administration panel. Some of the highlights of using Revisionary are that it allows designated users to suggest changes to a presently available post or page, specifies upcoming changes to the published content either by approving Pending Revision or by a competent author/editor, makes available superior revision management forms in the front-corner preview display of awaiting/planned revisions with “issue now” link, assigns new WordPress roles like “revisor” for moderated editing, and is compatible with different WordPress Roles and with Role Scoper or Press Permit. Content Progress is a WordPress plugin that actually marks the contents or the articles depending upon their editorial statuses. This plugin adds an additional icon in the post listing page that notifies the moderator whether a post is completely reviewed, corrected and approved ,or pending for revision. I found this plugin very effective in the case of my new blogs where a huge number of articles from various writers are submitted on daily basis. This plugin not only notifies you of the status, but also allows the moderator to flag any content if they find it irrelevant or faulty. This plugin is powered by a quick and efficient document scanning system that actually helps to keep track of every article submitted to the blog. It also offers a huge numbers of WordPress short codes that can be used for customizing the notification outlook. Guest author Margaret is a guest contributor for numerous sites within the SEO industry. Examples of Alia can be found at Seomorpheus.com.